cat·a·lyst: Something that causes an action or event to occur. ev·o·lu·tion: The gradual development of something, from a simple to complex form. ‘Catalyst: [E]volution’ EP is a project of growth, love and change. All the elements that Queens, NY soul vocalist Chordz Cordero has learned, to become the artist and person he his today. 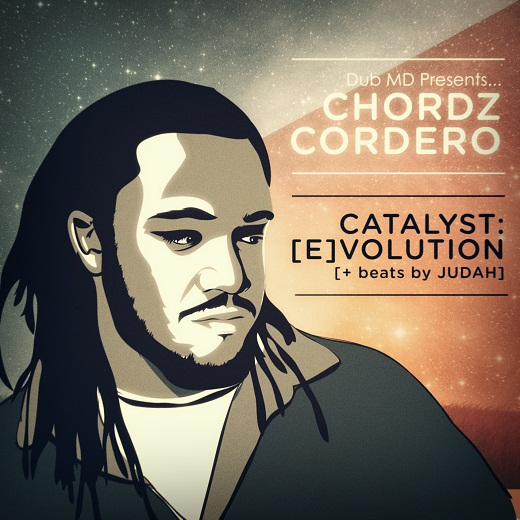 The Dub MD presented EP, is produced entirely by D.C. based producer JUDAH, and features C-Rayz Walz, D-Black and Elete Wright (of St. Joe Louis). Sit back, relax, and enjoy the soulful grooves. The EP is FREE so share it, throw it on your iPod or burn it to CD-R, its yours!